Heather Henley – A journey of craft. It’s time to level set on where I am on my crafting journey for all of my chosen areas, but first, let’s talk about a major lesson learned. When you put up a blog, for the love of all that is archival, back up your work. My site was attacked, mirrored and all of my data wiped out. So, while I do have the odd blog post saved in a Word doc on my computer I’ve decided to start fresh (with a more secure site architecture in place). So, let’s cover the things I craft and where I am on my crafting journey with each. For some background, I finished the first draft of Ranked Play, my novel about a female pro gamer navigating the world of esports, last November during NaNoWriMo. For the last few months, I’ve been slowly editing my manuscript. Last month, I discovered the Pitch Wars contest and realized it had a whole lot to offer. For starters, it presents the opportunity to be mentored by a published author through the process of getting your manuscript ready for the agent query trenches. While that alone is great, it was the other two benefits that really caught my eye. Pitch Wars has a huge community around it. When you search #pitchwars on Twitter it is chock full of aspiring authors who are committed to chasing their writing dreams. I’ve been feeling terribly alone in my writing journey. Joining in the conversations in the Pitch Wars tag has already changed my outlook on my writing journey. The Pitch Wars community has already boosted my confidence and helped me stay focused on my writing goals. About those goals. I’m the kind of person who thrives on a deadline, a target date of completion, anything to push me through. Readying my manuscript and other materials against the Pitch Wars schedule has been absolutely HUGE! I’ve made more progress on my novel in the last month than I have on any other novel I have ever worked on. In fact, I’m about to check off a big goal today. I’ll be submitting my manuscript to my top four would-be mentors TODAY! Even if I don’t get picked as a mentee I’m already so excited and so grateful for where Pitch Wars community can take me. While there was lots of encouraging news to report in my writing craft, my other crafts have taken a backseat to meet my deadlines. I have the raw materials, supplies, and tools I need to craft a customized notebook cover for my bullet journal notebook. I’ve scoped out some other covers on the market that I’m drawing inspiration from, but no other progress has been made. I still owe my husband two sheaths for knives he’s crafted. 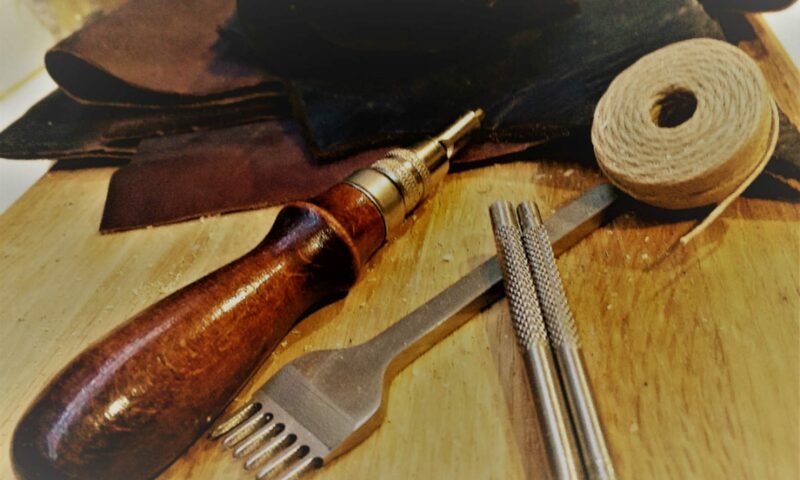 The plan is to circle back to leatherworking a bit more in September. We’ll see! No progress to report here. I still really want to learn how to sew, but all my experiences thus far have been frustrating and not very fun. Keeping motivation here has been tough. Several years ago my husband and I set ourselves the challenge of feeding our family of four well and in a healthy way on the food stamp, or Women, Infants, and Children food benefits budget. We did it and were surprised by how simple it was. I have to acknowledge how hard it would be if you didn’t have easy access to regional grocery stores and lived in an expensive urban food desert. I had a blog dedicated to presenting all the lessons we learned and how to apply it called HowToHomeEc.com. Sadly, that site was attacked too and I’m going to have to spend some time rebuilding it. Phenomenal progress on some areas of craft and almost nothing new in others. Even so, I feel like I have my goals in place and plans ready to implement. I will do a status report next month to see how things are going.